They have these wonderful night markets at a couple of locations around the city of Melbourne and they are an absolute fantastic way to spend a beautiful evening and last night was one of these. There are rows and rows of delicious food vendors selling the freshest of seasonal delights superbly prepared in huge quantities to serve the masses that appear. I mean that…every vendor is more mouthwatering than the next and everything is fresh, fresh, fresh! It’s literally like being at a fabulous buffet hosted by the United Nations! In addition, of course, the same diversity is present in all of the wares being sold and you can get anything from a cutesy little toy to a unique artisan’s rendering. Amazing stuff! In addition, there are bars set up with any libation you might desire, sweets to tempt you in every size and color and also entertainment stages set up in the four corners complete with dance floors with great musical talent from all over Melbourne. So, needless to say, it is a huge party like atmosphere and incredibly packed to the brim with people even on this midweek autumn night. Nirvana! My friend and I were having a great time sipping a nice glass of Shiraz, listening to some fabulous music when we decided to take turns procuring food so that we wouldn’t lose our premium seats at a table perfectly placed near the dance floor. (But not too close to the band so that we couldn’t talk.) The Market God’s were definitely smiling on us! When I left to get my food it had only a small handful of others just like us, but when I came back to the table, I was greeted by a gang of rowdy kids and 3 adults who were trying their hardest to keep them under control, feeding them from piles of food from fresh gnocchi to spiraled ‘chips’ (potatoes) deep fried and delicious smelling but also could have easily been used as weapons if need be. They were a very lively group and after a few minutes we learned that they were there as hosts to 2 young teen girls from Japan and wanted to give them a different ‘taste’ of Melbourne. The girls were quite shy and their English slightly limiting but for the most part, they were good natured and seemed to enjoy their surroundings and new families. But you know how teens are…they more or less want to be in their own worlds and get bored pretty easily regardless of which country they come from. As such, it wasn’t long before they asked to take a walk and explore a bit on their own. One of the parents gave them their cell number and took the number of their guest in return just in case they would need help finding their way back to the right corner of the market. This place is huge so trust me, it can get really confusing! The rest of us just fell into enjoying each others company, talking, sharing food and dancing. Like I said…it’s a real party atmosphere! No such thing as a stranger in Melbourne! The time flew quickly by and we suddenly realized that the Japanese teens had been gone for some time…at least over an hour and the stress level which had been at below 0 suddenly shot up to about a thousand. The host mother took out her phone to call her teen when she discovered that her phone was completely ‘flat.’ It was dead as can be. Not even a little flicker when turning it on and off again. Dead, flat lined, useless. I watched her face go white as she realized that not only could she not call the girl, but the girl would not be able to call her should they be lost. Stress meter now at 10,000. We decided to split up, each taking a direction of the market to search for the girls and one of us staying at the table at all times in case they showed up. When each scout returned empty handed, the stress-o-meter started to boil over, off the charts and they went out again and again. Still no girls. The younger children started crying…they were scared and couldn’t be consoled. The parents each started to blame themselves and wave of fear and regret started to crescendo as still no sign of the girls emerged. My job of course was to keep the remaining parent calm and holding the vision of the most positive outcome and reunion but you can imagine how challenging that was becoming. Anyway, I also recognized that feeling of terror thinking we were responsible for losing someone else’s child… Agonizing! I didn’t share this with them but I think you are getting the idea…this was indeed a very, very tense moment. Security was called and they quickly charged the woman’s phone. No calls had come through…a wider search was decided upon and then, just as it was being assembled, up walks 2 little sweet, Japanese teens, huge eyes full of joy and excitement, huge smiles filled with delight, hands filled with their purchases and completely oblivious to the reign of terror that had been quickly approaching a group beheading. Where had they been? Trying on clothes…what else would teens be doing in a foreign land? Tears of joy and relief now flooded the land and without even a moment’s hesitation, they all were now walking quickly out of the market, tightly hand in hand. As I reflected on the evening, there were a few obvious lessons here. Always carry a spare charging stick, make sure that everyone involved has all contact info exchanged and secured in their phones, setting up a meeting destination should anyone get lost, etc. We’ve all been there and this kind of lesson typically comes before any real disaster steps in. But I was thinking about it on a more esoteric level and decided that so much of life is filled with these same kinds of lessons all the time. The truth is, our hindsight is invaluable, so it is imperative that we collect the lessons and use them to create a plan of action for going forward. 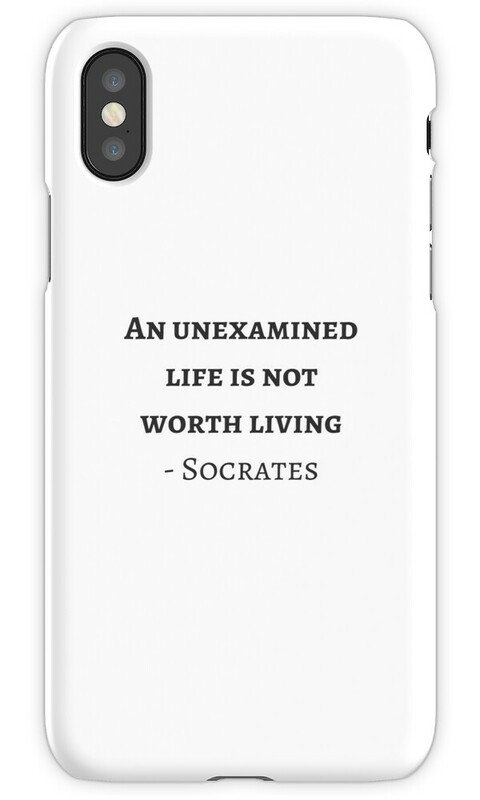 Socrates said, “an unexamined life is a life not worth living.” There is such truth in this..what good is it to live the experiences and not glean and share the lessons? The second lesson – Stay calm regardless of the circumstances when at all possible. But that’s a real challenge isn’t it when your mind has launched you into every horror movie you have ever watched and every act of terror you have read or heard about in the ever- sensationalized media. Yet, holding a vision is holding an energy field and we know that it is that field that determines each individual experience. I think this is where a daily Spiritual practice comes in handy. It trains us to look within rather than out into the chaos that’s all around. The third lesson – Sometimes even when you think you have everything under control, the Universe comes along and reminds you that there is no truth in that. The only thing we are safe to expect is to expect the unexpected because we’re not in charge of all of the variables. Surrendering to this concept is not easy. We are so programmed to believe that we are safe only in what we can control and yet, it is the opposite. Let’s face it, we are called upon to surrender so often that it may seem that those may be our most valuable muscles! The fourth lesson – There is always a call for love taking place that leads you to connect with those around you on a grander scale. You may not know what it’s about but try to keep this in mind and just be open to it and The Universe (Love) will let you know what it needs of you and how. The fifth but not final lesson – For those of you who have kids or grandkids coming up to those ranks, and that is that teens will always be teens and expect the unexpected from them. They’re in cahoots with the Universe to keep stretching you beyond any preconceived limitations and you will never be disappointed! They will get the job done and will stop at nothing until they have! LOL! Ah, the mysteries of life! So, the final lesson? Don’t forget your vitamins, your Wheaties, or anything else you think will fortify and get you through. But know that the only way to survive certain experiences and chapters of life is to strive to thrive through your connection to Source and that requires more than a daily dose! Make sure that you get everything that you need to be strong and resilient when you need to because there is one thing that you can be sure of and that is that Life is always going to be more than you bargained for!